StairMaster Stepmill. You won’t believe just how easy it is to achieve the same cardiovascular benefits you’d get on a treadmill, whilst at the same time enjoying a superior lower-body muscle workout too. The machine works your heart, lungs, and muscles without jarring your joints, and is outfitted with a patented revolving staircase that closely mimics the feel of genuine stairs. Once you start your climbing workout, it will feel like you’re walking or running up the stairs of your local sports arena or auditorium in the comfort and convenience of your own home. The machine on offer is an older early model but is still in good working order, act quickly! 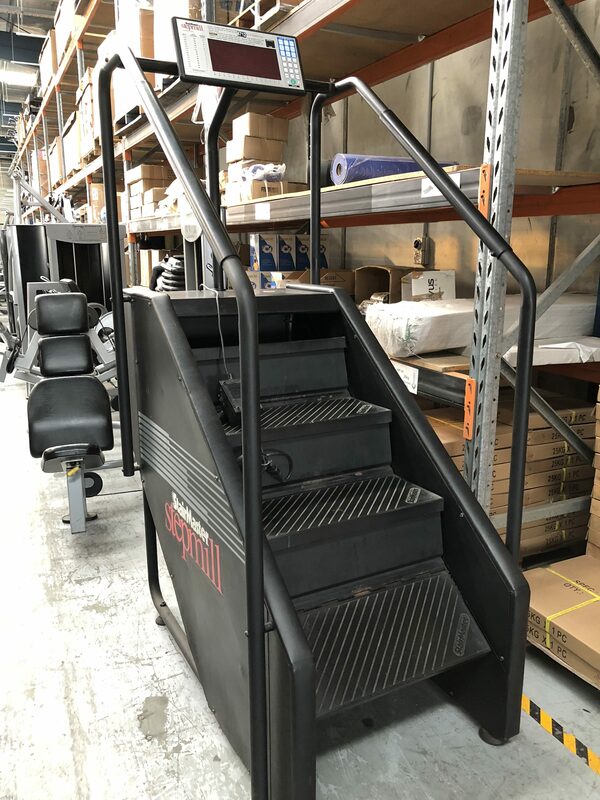 Stepmill for sale, feel free to enquire above.